“[I]t is essential for the city to have confidence in new buildings as well and to know how to do it correctly in relation to the old.” — Vincent Scully, Jr. Being designated a “historic district” is perhaps the greatest honor that can be bestowed upon a neighborhood. More often than not, what is being recognized is not the significance of historic events having occurred there, but that the neighborhood has a defined style and sense of place which contribute to our culture. This got me to thinking: Will Seaside—dubbed the most astounding design achievement of its era—ever be a historic district? One place to look for an answer is at great planned neighborhoods from the past. Interestingly some, such as Boston’s Back Bay or Brooklyn’s Park Slope are historic districts; others such as Queens’ Forest Hills Gardens, or Kansas City’s Country Club district are not. The difference between them is that the latter are subject to architectural regulations and therefore do not rely upon historic preservation laws to protect them. Similarly, Seaside and most other new urbanist communities are subject to architectural regulations which served to define, and now maintain, their style. To be sure, the advancement of such codes is one of the most remarkable achievements of the new urbanism. 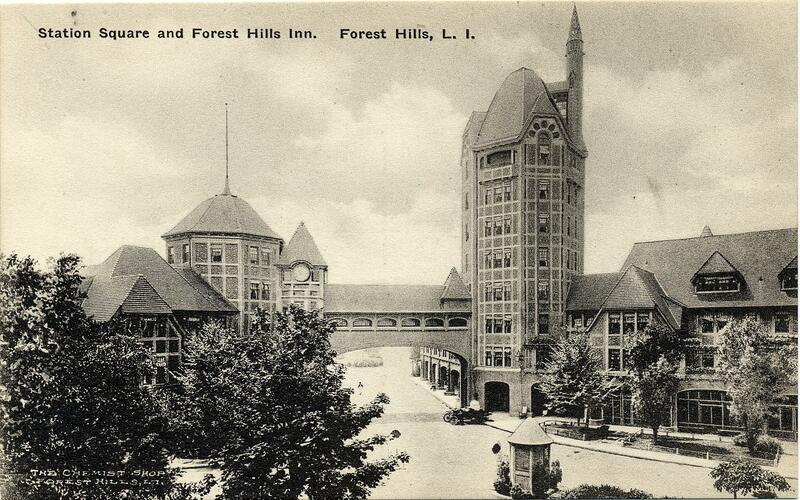 The fact that places like Seaside, or Forest Hills Gardens, can maintain a consistent and excellent architectural style without the aid of landmarks commissions, public hearings, and what is a whole other layer of regulation and administration, is not without significance. There are a number of values promoted by new urbanism that are furthered by the use of architectural codes, as opposed to preservation laws: for example, making the approval process swift, and its outcome more predictable. From this writing, I have concluded that the question of how a City instills confidence in new buildings comes down to two central promises. First, that what we build will be better than what it replaces. There are really only two good reasons to knock anything down: it’s about to fall down, or you are going to replace it with something better. Whether old-growth trees or a grand building, so long as the replacement is more valuable, it is progress. Historically this is how we built. No sooner did we break this promise than did NIMBY-ism rise up and force us to spend our evenings being cross-examined at community meetings. Second, that the more complex and imposing our regulations, the more swift and certain their administration. Tell people they can build whatever they like so long as the Town Board approves, and the process is at once flexible and indefinite. But, tell someone how tall, how wide, what color, and what type of windows their building must have, and they should be able to reasonably assume that if they meet your list of demands, they will be allowed to proceed. Replacing the laws and approval processes of historic districts with architectural codes offers to fulfill both those promises, and improve the system along the way. Before explaining why, and to fully understand why the status quo isn’t the best solution, it’s useful to examine the problems historic preservation laws were invented to solve. The half-century from 1920–1970 bore witness to a stunning degradation in the quality of American architecture. Though the profession’s work had arguably peaked at the turn of the twentieth century, it really declined during this period. The reasons for this fall from grace are many, too numerous and complex to fully discuss. But, at least a few help put the rise of historic preservation in context. First, the era of modernism and the “International Style,” borne of European architects and theorists in the 1930’s, materialized and became fashionable in the wealthiest, most advanced nation in the world: post-WWII America. Second, the influx of high-skilled, cheap labor (almost constant from 1860–1910) that allowed complex buildings to be economical dried up as immigration policies changed leading into the Great Depression and WWII. Third, the advent of the automobile, and the massive government subsidization of our transition to a way of life that revolved around it, stacked the deck against buildings and developments that did not accommodate the car. Finally, and most importantly in my opinion, was a cultural shift from focusing on the quality of buildings, to the quantity of buildings. The generation that experienced adolescence in the throes of the Great Depression, and early adulthood in the battles of WWII, inevitably had a different outlook on what mattered. They understood that everything could be taken from you in an instant. They saw that all the grandeur of Paris or London could be bombed out tomorrow. It’s only natural they rebuilt as quickly as possible, and without regard for the ornamentation of buildings. It was the perfect storm for the destruction of America’s older buildings. By the end of the 1940’s they were out of style, too expensive to repair, didn’t have enough parking, and were generally uncared for. And so we started knocking them down—a lot of them. All of the great destructive trends in American history had a straw that broke the camels back: water pollution had “Love Canal”; endangered species had the Bald Eagle. For Historic Preservation, that straw was Penn Station. You could hardly have picked a better poster child. Penn Station was one of, if not the single grandest buildings ever constructed in this country. But as the railroads were being abandoned and dismantled, their stations fell into disrepair. For the Pennsylvania Railroad, which was struggling to survive, Penn Station was little more than a drag on its balance sheet. At the same time, under the newly adopted zoning regulations in New York City the site could be developed with over a million square feet of office space. To be fair, from a purely financial perspective it would have been foolish not to knock it down and sell the development rights for a new building. And that’s exactly what was proposed. Though it is regrettable that such a tragedy had to occur, Penn Station’s greatest legacy will likely be as a catalyst for the historic preservation movement. In the years that followed, the loss of the station came to be nothing short of an embarrassment for New York; which soon after, in 1965, created a Landmarks Preservation Commission and began designating landmarks throughout the city. Realizing they had committed many heinous acts against their built heritage, other cities and towns across the nation followed suit. The early success of the Historic Preservation movement, politically, culturally, and in the courts where its legality was confirmed, fueled its rampant spread. Not only among towns and cities, but within them, as diverse applications of “preservation” were experimented with. Obviously the first to be preserved were the landmarks, both historical and architectural—which more often than not do not overlap. Historical landmarks including buildings like the log cabin where Lincoln was born, and architectural landmarks including buildings like Grand Central Station. Next came the advent of the “historic district.” Here things became slightly more complicated. Historic districts are composed of several buildings (typically several blocks, or even a whole neighborhood), most of which by themselves are not historically or architecturally significant, but which together form a place that is either historically important, or architecturally distinctive. You can imagine that if you weren’t able to protect any of Georgetown or Greenwich Village unless the buildings were independently or architecturally historic, those districts would be at risk. The result is that now, the number of buildings that are protected elements of historic districts far outnumber the individual architectural and historic landmarks. To be clear, this essay doesn’t take issue with the system of landmarking individual buildings, but with historic districting. Now that historic preservation laws are virtually universal in this country, most of the important individual landmarks designated, and many of the important historic districts protected, allow us to focus on how (and if) the system works in practice. My involvement in, and perspective of, this process is as an attorney presenting applications to the Landmarks Commission; I mediate a debate about what should be built between the preservationists, the architects, and developers. So you’ve purchased a vacant property in a historic district, or an old building you want to renovate or enlarge. How does the historic district constrain you? Generally, the answer is that in addition to presenting plans that conform to your local building and zoning codes (to get your permits), you need a separate approval from the landmarks commission (called a “certificate of appropriateness”). The only catch is that where the building and zoning codes are fairly clear in what is required, the idea of “appropriateness” is very vague. To be sure, there isn’t even a place where what it means to be appropriate in the historic district is defined. The solution is to visit the district, try to discern its common characteristics, and design something that emulates that style. Good architects, who understand urbanism, can design a contextually appropriate building on the first try. However, most architects learned to design without context in school, and design according to the bottom line in practice; the idea of context and precedent is foreign to them. Here is how the rest of the story plays out: you present your plans to the landmarks commission; they say it’s not appropriate for this reason or that (all subjective opinions, mind you); the architect revises the plans; you present again; whereas last time the commission didn’t like the windows, now it’s the awning, or the entrance. This cycle repeats itself a few more times until the commission feels like they’ve gotten something out of the developer. The whole affair takes, and costs, about four times more than designing a building anywhere else in the city. I love old buildings, and I don’t care for modern architecture, so I think I am as much a supporter of preservation as anyone; but there is something horribly wrong with this process. Though I’ve oversimplified it, and maybe even demonized the landmarks people in the process, that’s pretty much a fair telling of the system from my point of view. And, what’s really ironic is that most of the developers I work with are so eager to get the project done, they are willing to do almost anything the commission tells them to. Forget the archetype of the heartless developer; most just want to be told in clear terms, so they can tell their bank, exactly what they need to do for guaranteed approval. Now consider the experience of a person who has purchased a vacant lot at Seaside. Like anyone else, they want to know what they can build. The answer is found in the community’s urban code (which is like a zoning code), and architectural code. The entire document is a double-sided 11″ x 17″ sheet. What is appropriate in Seaside? A design that complies with its codes. Period. Seaside, of course, benefits greatly from having a town architect to work with the owner and project architect to develop a compliant design. But even that is much less expensive, not to mention less cumbersome, than having an entire landmarks commission. If a design that is presented to the town architect is fully compliant with Seaside’s codes, it will generally be approved. How long it takes to develop a compliant design is up to the architect and owner; not a product of the process. Again, I’ve simplified the whole process for the sake of discussion. And, I should mention that the ultimate discretion over what gets built in such place still lies with the town architect, even if the design is fully compliant. For the most part, though, that’s it. Not only are architectural codes a better tool to regulate new construction, but also development in historic districts. The advantages, though more plain in the case of new construction, also apply to older buildings. Before delving into why architectural codes are a better way to regulate historic districts, it’s important to understand why this is true. We need to stop thinking of old buildings in historic districts as “historic buildings.” Historic buildings are places that are important to history. Old buildings in historic districts are just a part of historic places. These places can, with a tight architectural code, survive without all their original parts. Consider why preserving historic districts became so important in the first place: people were knocking down beautiful old buildings and replacing them with garbage. If what was being constructed in place of the old buildings were newer, better buildings—architecturally, structurally, functionally and technologically—would we have minded in the first place? Will many people knock down a beautiful old building when the only thing they are allowed to put in its place is a comparably sized, similar looking, new building. In fact, a good architectural code favors renovating or enlarging older buildings over demolition and new construction. With regard to vacant properties being developed, there is no reason to believe that a new building developed under an architectural code will be any worse than one developed under a landmarks commission. Given the inability of such commissions to effectively communicate to the architects and developers, the code may even provide for better results! There are numerous reasons why architectural codes are a better way to handle development in historic districts than the approval process of historic preservation. Maybe you hate big government, and the idea of one more layer of bureaucracy keeps you up at night. Or maybe you’ve been through the interminable process and endured hours-long public meetings at which the angry neighbors actually get a say in what you can build on your property. Ideologies aside, there are four specific advantages to using architectural codes. The first is efficiency. Whether or not you think government should play a smaller or larger role in our lives, and whether it should shrink or expand accordingly, it’s fair to say no one supports waste—and the approval process of preservation is full of it. Think back to the hypothetical in the preceding section. The architect had to spend four times as long producing his plans; four times the paper, four times the pens, and so on. The developer also had to spend four times as much money. Everyone had to attend several public hearings. The commission has to be there, the project team needs to be there, and even the concerned neighbors had to take the afternoon off to be there, on several occasions. This is a waste of everyone’s time and resources. Not just the developers, but the municipalities and the citizens as well. If there were an architectural code in place, how many of the gaffs in the early design proposals, and how many of the back-and-forths over them would have been obviated? How much closer would the architect’s first try have been to the final design? And, equally important, would it have been as good as what came out of the landmarks commission process? With a well-written architectural code, the answer is as good or better. The second is objectivity. The law should be applied objectively. After all, why does the law prescribe how much you have to steal before its “grand theft” or how much pollution you can put in the air before you need a certain permit. You would not want to live in a world where whether you went to jail for two years or five depended on whether a commission thought what you stole was “grand,” or where your permitting requirements were subject to what a commission thought of your pollution. In virtually every corner of regulation, the law strives to reject these subjective opinions in favor of objective requirements. The laws of historic preservation are a notorious exception to this general rule, mostly because it’s tough to codify style. Of course, this is what makes the issue one for the new urbanists; the group that has not only reintroduced the idea of architectural coding, but made great strides in the field. The bottom line is that in the absence of knowing a better way to regulate, the laws of historic preservation rely almost entirely on the subjective opinions of a few people. By comparison, architectural codes are almost devoid of subjective opinions, and rely on objective requirements, agreed upon by everyone at the outset, to get the job done. A related advantage is the third: a dependable outcome. Not only with preservation, but with the public process, which dominates the field of planning, we completely got it wrong. Anyone who has ever applied to build anything—whether it’s a 10,000-unit new town or a backyard swimming pool—wants to know is what they are allowed to do. And what they are really getting at is not only what is permitted, but that if they comply with those requirements, it will be promptly approved. What’s been getting built since 1945 is basically so horrible that in most cases, and certainly any that are larger than a few buildings, we have decided there is no set of requirements that guarantee approval; we want to be able to veto anything. Historic districts are the epitome of this idea. The problem is that this way of doing things runs contrary to one of the basic tenets of regulations: that the more complex and imposing the regulations, the more dependable their outcome should be. In other words, if you’re going to tell me exactly what I can build not only in terms of height and form, as with zoning, but also in terms of materials, colors, and details right down to the shape of the windows and their ornamentation; then I should be able to expect that you will make those requirements clearly known to me, and if I meet them, then I can proceed. That is basically what an architectural code does; it clearly defines compliance. The approval process of preservation has the equation backwards; they not only want an intrusive degree of power, but they aren’t going to nail down a set of criteria to review against. Imagine, a legal process—and that’s what preservation is—where those in charge control almost every aspect of a building, but don’t have to you their requirements. In those terms it almost sounds despotic. A good deal of the resistance to historic preservation arises out of precisely this frustration. Finally, and this may be the most important thing architectural codes have to offer, you to not need to be an old neighborhood to deserve and take advantage of their benefits. Doesn’t it strike you as at least somewhat unfair that older neighborhoods have this entire field of law, and world of administrative processes, organized with the goal of protecting their best buildings (and the value of the surrounding real estate) while anything newer, no matter the quality, is left out to dry? Is it any wonder the overwhelming majority of new homes constructed in the past ten years have been located in gated communities with home owner’s associations and deed restrictions? Americans are probably the last to admit that they would sacrifice the freedom to put plastic flamingoes in their front yard, but more than any other nation in the world we are building and electing to live in places where private governments control everything from lawn furniture to new siding. This trend is nothing less than a cry for architectural regulation, and it’s no coincidence it arose just as suburban sprawl and modern architecture began to consume the landscape. Where the environmentalists have spent all their energy making sure nothing happens to nature, while completely ignoring what gets built, so have the preservationists spent their time obsessing over existing places, and completely ignoring new ones. Both of these positions espouse a hopelessness that leads nowhere. The truth is that most Americans who live in places that are at all dense—meaning they can see the next house—want some level of guarantee that their neighbor isn’t going to build a neon-colored curiosity that hurts their property values. It’s not unlike the circumstances surrounding the advent of zoning. Though most of the talk surrounding the famous Euclid decision is about the segregation of uses it condoned, the most telling words of the decisions speak of the apartment house in the single family neighborhood as a “pig in the parlor,” which are as applicable to an ugly building as they are to a functionally different one. The response on the part of preservationists has been to over landmark. What happens is that well-formed neighborhood groups lobby to get their neighborhood designated a historic district. Whether or not it’s the most deserving of places, and whether or not more historic places have yet to be protected, the landmarks commission responds to political pressure. The result is the creation of historic districts all over the city, which have as much to do with out of control new development as they do history. Meanwhile, newer areas that are clearly not ripe for preservation call on the city to downzone their areas to a density much lower than actually exists. The goal being to create an environment where, because of the abnormally low zoning potential, no one will knock an existing building, or build a new one either. All any of us want, in old neighborhoods or new ones, whether you care about urbanism or not, is a reasonable expectation that what is going to be built will be as good as what it replaces, and some idea what that’s going to look like. Is that so much to ask? These simple objectives are more easily achieved with a code than with a commission; and in the process, we’d be making our approval process more swift, fair, and definite as well. Ian Rasmussen is an attorney and urbanist living in New York City. His practice focuses on land use, zoning, and urban design.